The necklace starts at $29 with no charms. 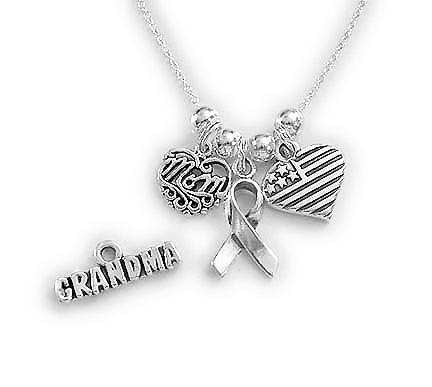 They added a Filigree MOM charm, Ribbon charm and Heart Flag charm. Shown with optional GRANDMA charm. Shown on a Rolo Chain. Everything is .925 sterling silver. The necklace starts at $29 with no charms. They added a Filigree MOM charm, Ribbon charm and Heart Flag charm. Shown with optional GRANDMA charm. Everything is .925 sterling silver. 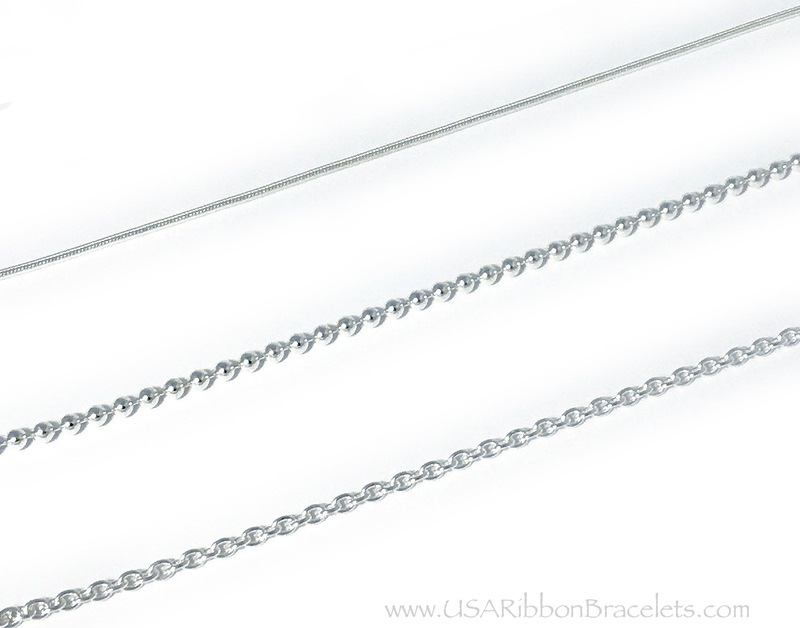 The necklace is a sterling silver and you choose the length and style. A rolo chain is shown. The necklace starts at $29 with no charms. 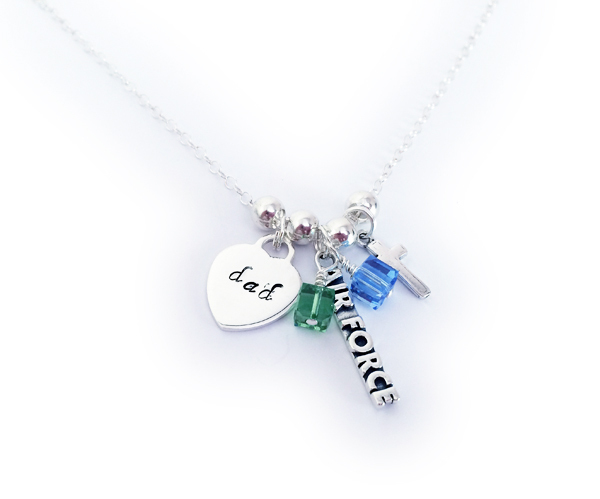 They added an Engravable Heart and I hand-stamped DAD, August or Peridot birthstone crytal dangle, December birthstone crystal dangle, an Air Force charm and a Simple Cross charm. Shown on a Rolo Chain. Everything is .925 sterling silver or Swarovski crystals. The necklace starts at $29 with no charms. 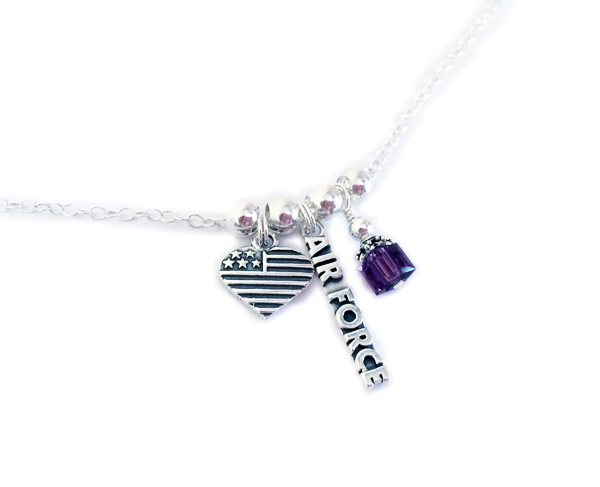 They added a Heart Flag charm, Air Force charm and a February or Amethyst birthstone crystal dangle. Shown on a Rolo Chain. Everything is .925 sterling silver or Swarovski crystals. The necklace starts at $29 with no charms. 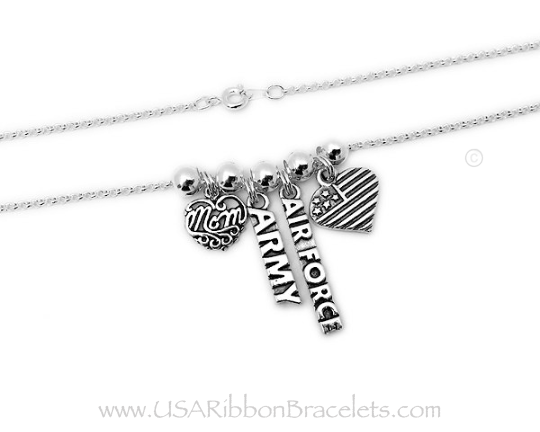 They added a MOM Filigree charm, Army charm, Air Force charm and a Heart Flag charm, Shown on a Rolo Chain. Everything is .925 sterling silver or Swarovski crystals.